The ninth annual IAA/JSMB Christmas Season Art Showcase was held in the Historic Joseph Smith Memorial Building in downtown Salt Lake City, Utah. 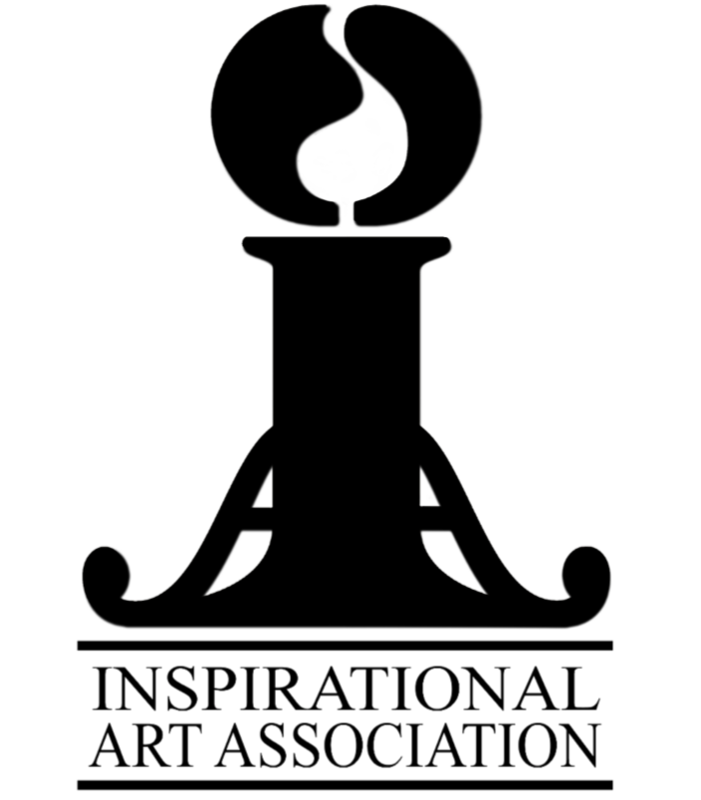 Opening night began on Wednesday, November 28, 2018 with the IAA Dinner and Awards Presentation taking place to officially start the three day Art Showcase. Held inside the elegant Wasatch Room on the tenth floor the sold out event was treated to a magnificent holiday menu. Acting as Emcee, Cindy Latimore, Show Director and Events Curator opened and welcomed all those in attendance and introduced Award winning multi-instrumentalist Camille Nelson who played a couple of numbers at the beginning of the Awards Presentation. Awards Presentation included Mark Latimore, previous IAA President introducing Kenneth Cope, Award-winning songwriter, producer and performer as the 2018 IAA Service Award Recipient. Mike Malm, IAA Artist presented Elder David T. Warner, produced: Be One Celebration and the Savior of the World as the 2018 Advocate of the Arts Award Recipient. Joseph Brickey, current IAA President who presented and introduced the 2018 Patron of the Arts Award Recipient and Keynote Speaker. Gordon Bowen who is the Founder and Chairman of McGarry Bowen an esteemed International Advertising Agency who represents world renown clients around the world as well as the Creative Director for the 2002 Salt Lake City Winter Olympic Games shared his thoughts regarding the Arts and Personal Interpretation among several other uplifting and inspiring thoughts. Tom Holdman who design the awards not only described the process of his Studio (Holdman Studios) designing and producing the awards but helped award each glass piece to each recipient. Immediately after the dinner the VIP Private Artist Reception was held in the Bonneville Room where those in attendance could visit personally with the IAA/JSMB Show Artists and see each of their “Original” pieces of Art. The Reception was a ticket entrance only event. The event itself was a star-studded event and was a great success. The Art Show was then opened to the public on Thursday, Friday, and Saturday from 9-9 with Camille Nelson performing nightly with special guest accompanied her each evening. The IAA/JSMB Christmas Season Art Showcase is a show where Artists themselves must apply to be considered into this premier art show. Only 35 Artists are selected each year from around the world. This year proved to be an exceptional year with highly qualified artists displaying their work. Artist from as far away as South Korea, England and many in the States and Canada. This show is where just Original art work is accepted into the show. It’s the only show where patrons can come and see the work that most people see in magazines, galleries, and books up close and personal and actually meet and speak to the artist and hear the stories behind their work. This year the show experienced record number of attendees attending the show and record number of “Original” only art sold off the gallery walls. Most people who attend this yearly art show can immediately fill the special spirit that fills and radiates inside the walls of the Bonneville Room. Not only the patrons that attend mention this feeling but the artist themselves have witness this same feeling. New artists to the show have commented that they can’t believe the camaraderie that they feel towards each other and instead of being competitors they leave the show as life-long friends. Many patrons who attend have made this event a yearly tradition. This magical Christmas Season Art Showcase couldn’t have been possible without the artists themselves but also the volunteers who flew and drove hours to Salt Lake City at their own expense to contribute to the success of this show. Teresa Cox, Telsha Telsha Latimore Delbosque and Jana McCollum were absolutely critical in allowing me to run the show as smoothly as it did. A big THANK YOU to you three. Not just myself is grateful for you but the artists themselves loved and adored your professional and individual personalities that made the show such an enjoyment behind the scenes. A quick review of this year’s artists that help make this show have an amazingly successful year. Brenda Anthony: New to the show this year with her scripture-based abstract art. Joseph Brickey: A world renown artist that this show is so lucky to have had exhibit. Naomi Brown: Award-winning Southwest Artist who exhibited for the first time this year. Linda Christensen: Another world renown artist that the show is so fortunate to have exhibit. Debbie Fowler Cotant: It was her first time as an artist to exhibit her work which was overwhelmingly received. John H. Cox: Whose work is published by Getty Images and hails to us from England. Natalie Crossley: Natalie is one of the younger artist to exhibit but her experience with tutoring under the Masters is quite evident. Susan Edwards: Susan along with her husband Dave, put lyrics and music together with each of her original works of art. Jolynn Jeppson Forman: Her recent piece of the Salt Lake Temple that graced the September Ensign cover was on displayed along with her other original works of art. Katie Garner: Her expertise is murals but her gift of creating art that speaks to the heart filled her gallery walls. Charles Gilliam: As a first time show artist, Chucks work that was on display and exhibited was widely appreciated. Richard Horrocks: His work and reputation as a world renown artist is evident at this show. Faun Jackson: New to the show this year with her unique style and creative elements. JR Johansen: JR paints portraits for the families of missionaries who pass away while serving. This year he exhibited the original he just completed of Brent Taylor, North Ogden’s Mayor who was killed in Afghanistan recently. Yongsung Kim: A unique Christian artist from South Korea that is loved world wide. Mark R Latimore: His stained glass work is always a treat, especially this year his “Sword of Light” was a highlight where patrons loved having their pictures taken with this unique piece. Howard Lyon: World renown artist that is always an honor to have exhibit at this show. Shari Lunt Lyon: Shari’s new work called “Encaustic Art” was a great addition to the show this year. Anne Marie Oborn: Her illustrations appear on many books and magazines and the show was so lucky to have her work exhibited at the show. Bob Pack: His work as a religious and historical painter was evident in his amazing exhibition this year. Michael Peterson: From Arlington, Texas Mike’s work was very well received and touched some patrons hearts. Ruth Buckmiller (Pope): Ruth brought energy and life into her work that she exhibited on her gallery walls this year. Sandy Bangerter Rast: This year the show had a record number of world renown artist exhibiting. So fortunate to have Sandra showing her masterpieces. Richard Lance Russell: Richard who is an Artist, Painter and Storyteller was magnificent in exhibiting this year. Megan Lee Schaugaard: Megan’s work was very well received by attendees to the show. Lynette Seiter: As a popular artist at the art show her cityscapes and nature scenes are always a hit. Natalie Shupe: Natalie’s landscapes are always popular at the JSMB and attendees love seeing art that they connect with. Ken Spencer: Another renown artist that we were lucky enough to have his busy schedule allow him to exhibit at the show this year. Elizabeth Rast Stanley: A popular exhibit was Elizabeth’s paintings which were breathtaking and inviting. Mary Fielding Summerhays: Her unique work was a captivating exhibit at this years show. Scott Sumner: Scott’s work is world wide and the JSMB Art Show is extremely fortunate to have his work on display. Liz Swindle: To be able to have Liz’s work on display at the JSMB Art Showcase is an absolute honor. Danene Taysom: Patrons love coming each year to see Danene’s exhibit, it’s so splendid and inviting. Barbara Ward: A joy to have Barbara exhibiting this year, her creativity and experience radiated from her gallery walls. Dan Wilson: Another renown artist that the JSMB Art Show is so honored to have exhibit and actually see paint in person. Kwani Povi Winder: Kwani’s love for her Santa Clara Pueblo Indian Heritage is amazingly masterful and is a very popular exhibit. Also, a huge thank you to Robert and Cheryl Anne West Laumer who were the Host and Hostess at the VIP-Private Artist Reception.